First of all, you need to decide WHAT you want to find out - this is your research topic, and should be something that you can answer through your dissertation. When you draft this, talk to your tutors and ask them what they think - they'll know what could be REALISTIC and ACHIEVABLE. You might also find it useful to do some exploratory reading and find out what has already been written on your area of interest. 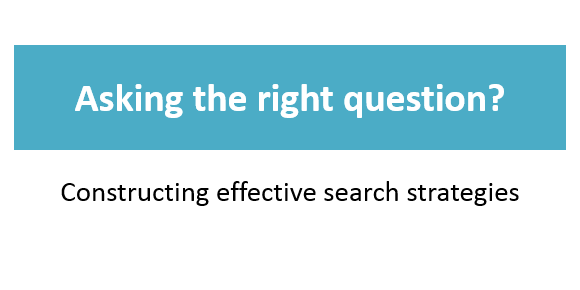 Once you have a topic, you can develop potential research questions. This establishes WHAT you want to find out and should be something that you can answer through your dissertation. Use post-it notes to think of different ways to describe your most important words (also known as key concepts or keywords) – that will get you ready for STEP 2! The University of Leeds have produced some useful questions to ask yourself when choosing your topic in their dissertation tutorial The Final Chapter.